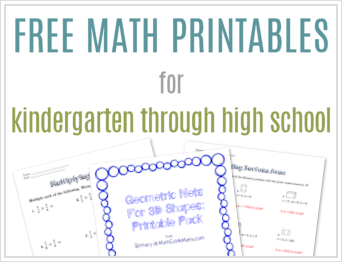 I remember sitting in a classroom trying to subtract fractions with unlike denominators. There were so many steps. Finding the least common multiple, the equivalent fraction, subtracting and then simplifying. It was not easy for me, and to be honest I didn’t have a clue what I was doing! 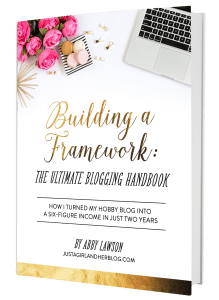 In this post, I want to share simple tips and a fun add & subtract fractions activity to make this easier for you and your kids. 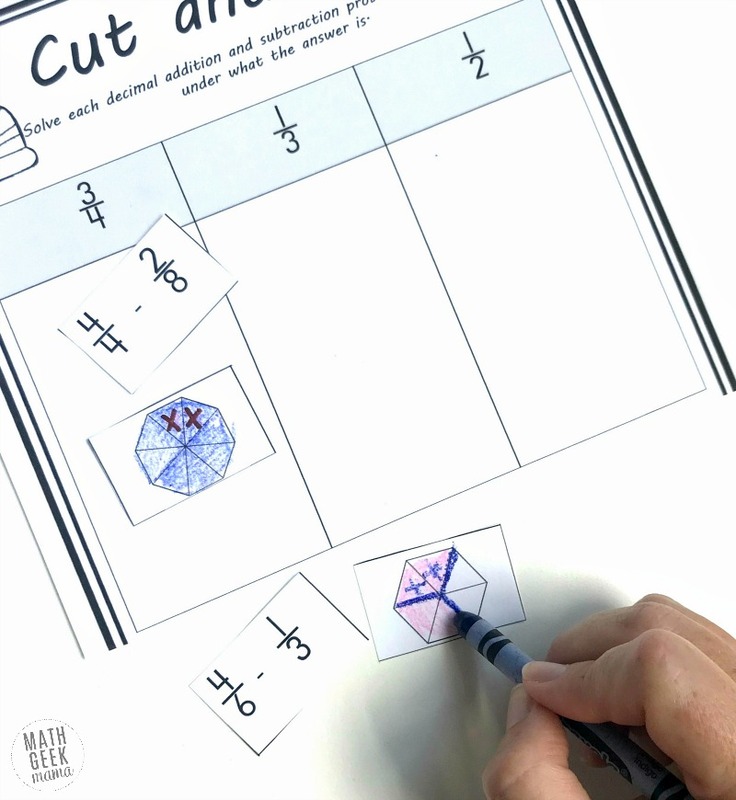 Modeling fractions and using those models to add & subtract fractions is a wonderful way to help children master all these steps and understand what they are doing. 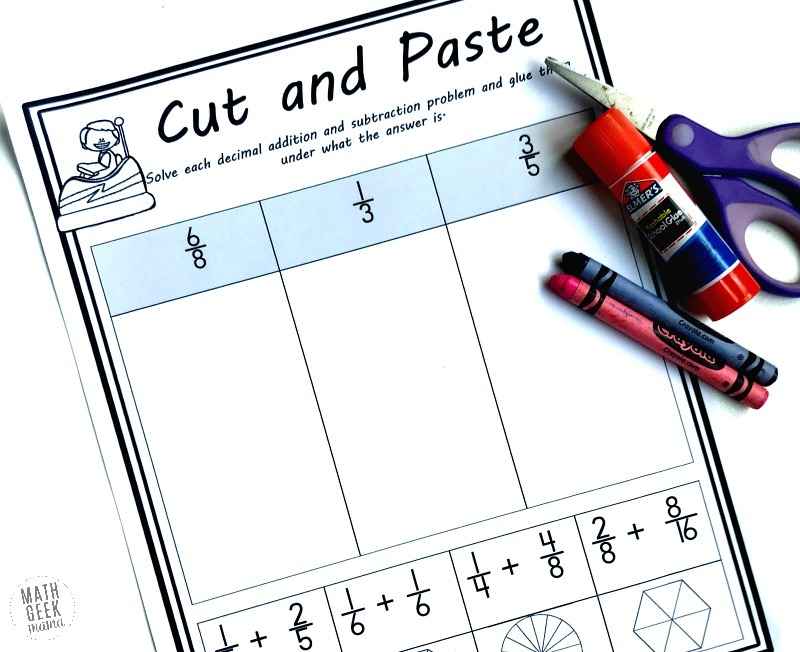 And these add & subtract fractions cut and paste activities are designed to do just that! This is a simple, low-prep fractions activity. First, print off the cut and paste pages. Then provide scissors, glue, and colored pencils (or crayons). 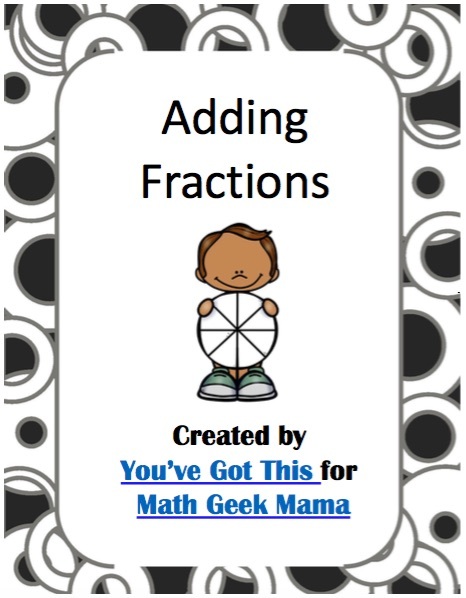 Now onto how to use these add & subtract fractions activity pages. Let’s look at this subtraction problem. We are subtracting 4/6 – 1/3. To begin we must choose a model that will work. We begin by finding the LCM (least common multiple), and we do this by skip counting by the denominators, three and six. As you can see, six is the LCM….so now we want to find a shape that has six equal parts. Once that is done, we are going to color in the fraction we’re starting with: four-sixths. Now it gets a little confusing because I have to cross off (subtract) one-third. My shape is divided into six-parts, not three, so we have to be careful here. This is where the time spent building fraction sense or working on equivalent fractions comes in. To subtract one-third, I must figure out the equivalent of that fraction when the denominator changes to six. 1/3 x 2/2 = 2/6 or we could take the hexagon and divide it up into three equal parts. However you choose to do this, we can see that we need to cross off 2 parts, and when we do we have two-sixths left. If you have spent much time working with students and fractions, you know that getting them to simplify their final answer is always a struggle. 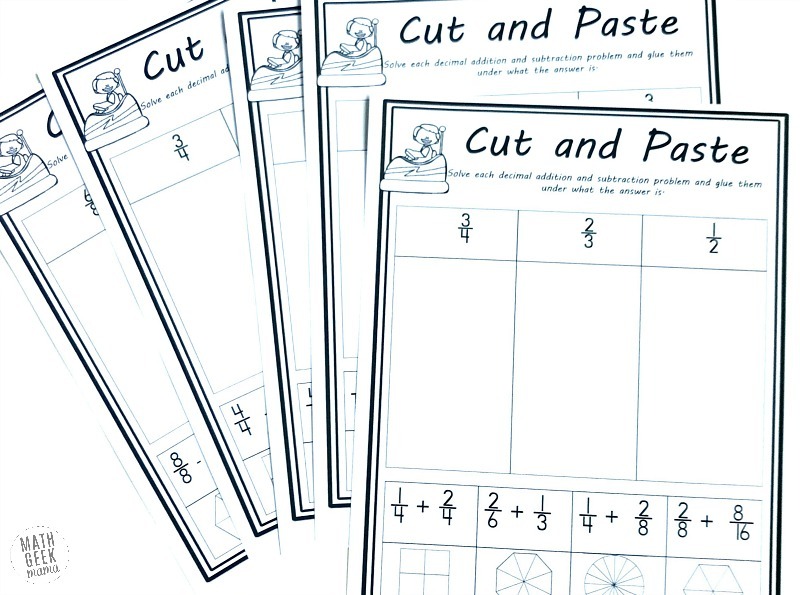 These cut and paste sheets are a wonderful way to reinforce the need to simplify fractions. In the example above, the students would have gotten the answer 2/6, but this is not one of the answers. So once again, the children get to find an equivalent fraction and simplify their answer. Once they do this, then they can place the 4/6 – 1/3 into the 1/3 category! Now that we have conquered subtraction, we move onto addition and it seems much easier after some subtraction. So let’s add 4/10 + 2/5. 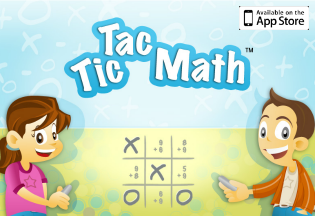 Just like in subtraction, we must begin by finding the LCM. Ten is the LCM so we want to find a model that has ten equal parts. Once that is done, we color in 4/10 in one color. Next, we find an equivalent fraction of 2/5 that has a denominator of ten…which is 4/10. Now we get to color in another 4/10 using a different color. Finally, we figure out the answer and simplify it. There are eights-tenths colored in. This is equal to 4/5, and now we have the final answer! 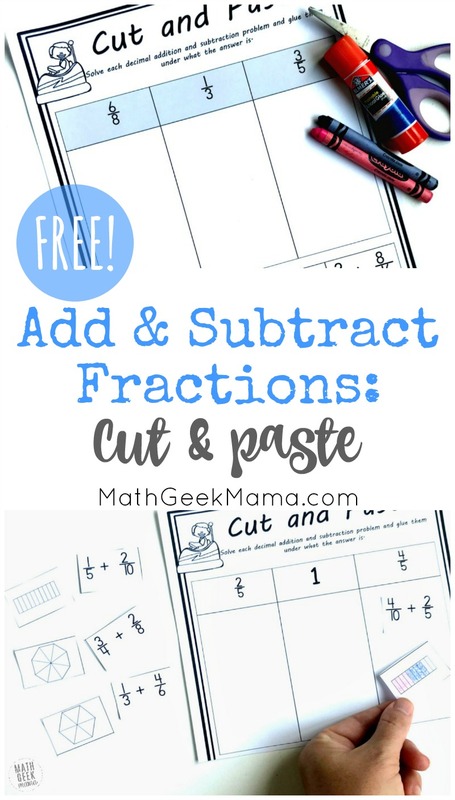 Adding and subtracting fractions with unlike denominators does not have to be a difficult chore! 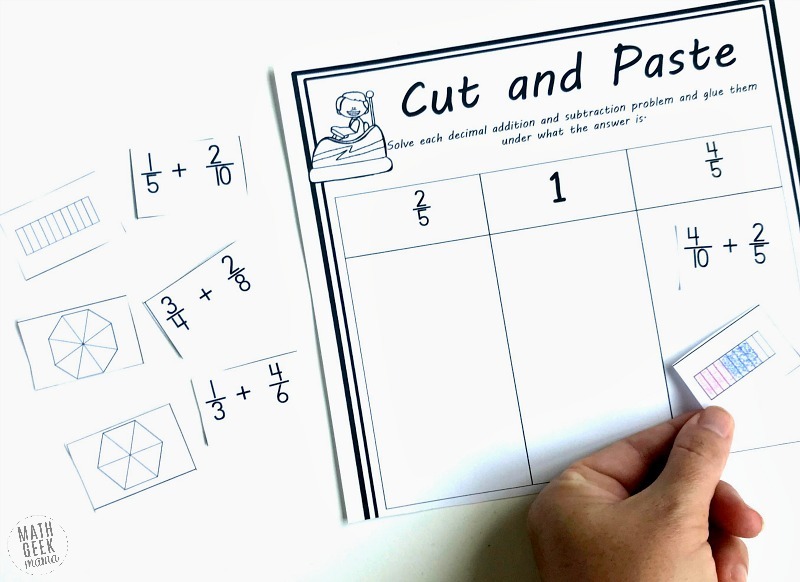 With some modeling and fun cut and paste activities, your kiddos will get some fun practice that will build fractions sense.